Nikon is not experiencing its best moment. The problems in some in the D600 and D800 series have caused some users to “quarantine” the confidence they had in the Japanese brand. But, besides this stumble, all of us who adore photography will maintain the hop that the good time will return, and that Nikon will surprise us with great flawless cameras in the future. Meanwhile, it is evident that it is striving to maintain its firmware upgrade policy, which is nothing more than an efficient way to respect their client’s investment. Precisely, a few days ago they launched the upgrade C:1.10, for its flagship, D4S new firmware that is improved greatly and which resolves some problems of the previous version of the micro program of this camera. Some of the newer relevant items are the use of the exFAT format when using storage cards with a capacity of more than 128 gigabytes. The possibility of using zoom in reproduction mode with personalized parameters and the management of the onscreen menu which appears to use Live View with video etc. But this is not all. Besides, this upgrade correction some errors in previous firmware like the mismanagement of some misfires on using the Raw S format or the resolution problems when extracting data from the camera via the HDMI port among other. 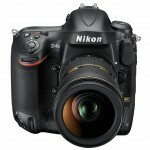 If you want to know in detail what this firmware offers us look at Nikon’s webpage it’s completely explains this.